The Sisters of Dark refers to Nashandra, Elana, Nadalia and Alsanna. These 4 sisters are fragments of Manus' soul that have coalesced and taken on new forms. Each represents a fragment of Manus' emotions. Nashandra represents greed and desire, Elana; anger and wrath, Nadalia; loneliness and Alsanna; fear and sorrow. These are all emotions that Manus must have felt. Nashandra represents his desire to reclaim the other half of his pendant and his greed for power, Elana his anger and wrath at the citizens of Oolacile who upturned his grave, Nadalia the loneliness that must have possessed him so strongly and fear, possibly about his own mortality and situation, perhaps fear for his life that caused his humanity to go wild. The sisters share similarities. They are each women and often considered beautiful. They each seek out powerful souls, but have powerful souls of their own. 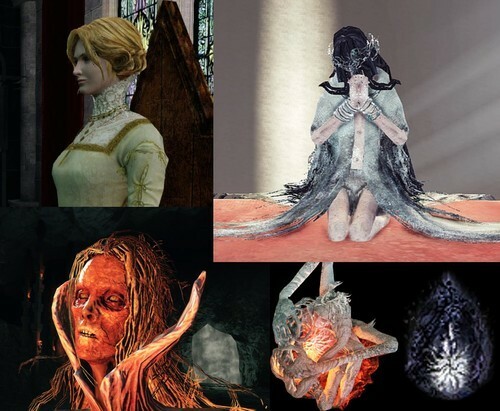 The fact that these fragments of Manus' soul appear to only take the form of women is interesting to note. It seems likely that Manus developed a fixation with Dusk of Oolacile whether wittingly or not. The way that souls influence those who possess them is unclear but the fact that each fragment of Manus became a woman who sought out a king, that she may become a queen is a little too coincidental and reflects Dusk's story and situation. 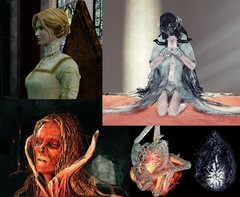 Dusk described the four sisters in Dark Souls 1/the idea behind the Sisters of Dark.